Home | Reviews | Audio & Video | Cameras | Have You Met Lily? There are a lot of things I find on the web, once in a while I consider writing about them but nothing usually comes of it. Today is a different story though…. why? I found Lily. Lily is really cool. I mean, REALLY cool! If you have ever considered a GoPro, then you might have an idea where I am going with Lily. First, let me stop playing games and let you on the secret. Lily is a very unique throw and go camera. Wait? What? Not throw away camera, throw and go camera. Well, actually, Lily is more of a drone that follows you around taking video, recording sound, and taking stills. First, let’s get some of the finer details out-of-the-way. Lily is made from Polycarbonate and aluminum. She weighs in at 2.8lbs and measures 10.29in. x 10.29in. x 3.22in. 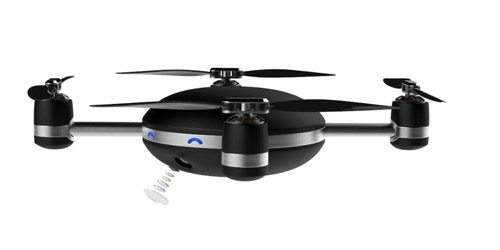 She has enough battery to film and fly for 20 mins, has a waterproof rating of IP67, can fly up to 50ft high, and can move at speeds of up to 25MPH. The camera itself is no slouch. Lily has the ability to record at 1080p 60fps in mp4 for as long as the battery and SD card will allow. Doing something cool? Lily can shoot slow motion at 720p 120fps. There are two cameras: a front facing and bottom facing camera. 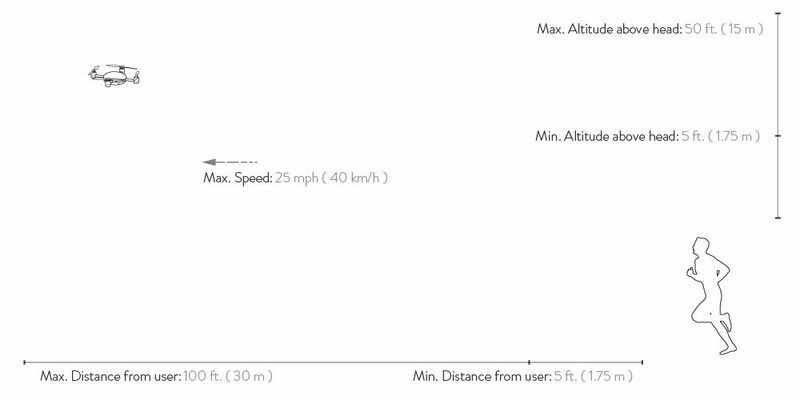 The drone doesn’t use any sort of processing magic to figure out where you are (Lily does use computer vision to follow your features). Instead, you carry a tracking device that lets Lily know it should follow you… you move, it follows. . The tracking device is not exactly small at 2.37in. wide and .75in. tall, but it can fit in a large pocket. The tracking device itself isn’t water proof, but it does come with a water proof wrist case that make it look like a hugely over-sized watch. 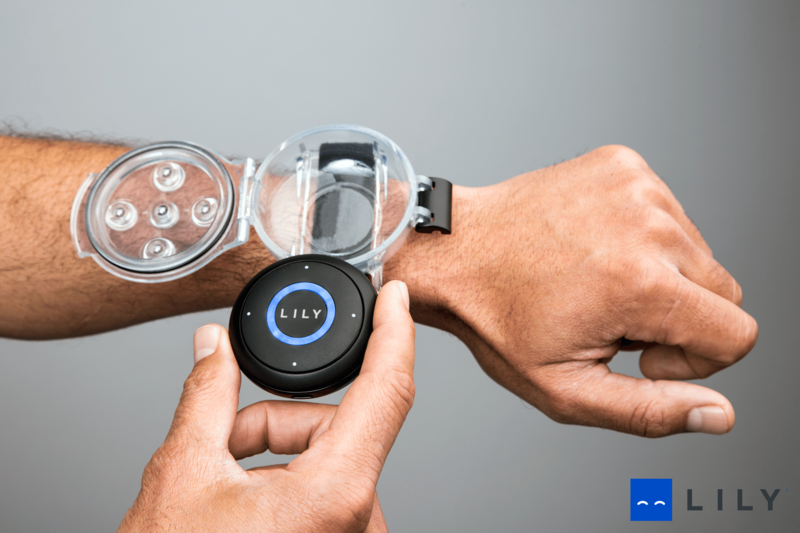 In addition there are a number of sensors to provide information about your activity and to be used by Lily itself. Stay tuned for an in depth look at lily.